1. What options are available while opening a Fixed Deposit account with STFC/SCUF? Ans. You have the option of opening/renewing the fixed deposits under either of the Fixed or cumulative scheme. Under the Fixed scheme, interest would be paid on quarterly, half yearly/or annual basis depending on the scheme subscribed to, by you as depositor. In cumulative deposits, interest is added to the deposit amount, which again is eligible to earn interest on quarterly compounding. The principal as well as the accumulated interest is paid to the customer on maturity or premature withdrawal. 3. Under what regulations, the fixed deposits accepted by NBFCs are governed? 4. How to purchase STFC/ SCUF FD through Shriram Insight? 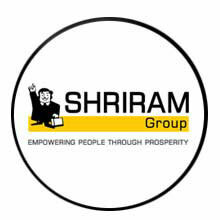 You may handover the completed application along with the requisite documents to your nearest Shriram Insight office. 5.What is the minimum amount required to place a FD with STFC/ SCUF? 6. Will I get the FD receipt? Yes, the respective companies will issue FD receipt acknowledging the money deposited by you with us. 7. When will I get the FD receipt? FD receipt (for customers opting for tax deduction) will reach the customers within 4 weeks from the date of order placement. FDR for customers who are not opting for tax deduction, certificates will be dispatched after receipt of 15G/15H. FDR for customers who are opting for nomination facility will only be dispatched after processing of nomination form. Customer will receive FDR within 3 weeks post this..
8. What is the range of tenure for which I can open a FD account? 9. At what frequency will I receive interest on my FD? 10.What is compounding in FDs? 11. What is the start date of interest on FD? Interest would accrue from the date when the money is debited from your Bank account. STFC/ SCUF may revise the above policy of interest accrual from time to time, at its sole discretion. 12. Can different FD accounts be opened in the name of single depositor? Yes, single depositor may open several deposit accounts in the same name. Through nomination facility, the depositor may nominate a person to whom STFC/ SCUF has to pay the deposit amount in the unfortunate case of death of the depositor. For availing this facility, you should fill the nomination details in the appropriate space provided in the application form. 14. How can the deposits be redeemed? The deposit receipt duly discharged with a revenue stamp of requisite value should be surrendered to STFC/ SCUF at least two weeks prior to the maturity date of FD. FDR to be dispatched to the below mentioned address for the respective companies: SHRIRAM TRANSPORT FINANCE COMPANY LIMITED, Office No. 1-7 1st floor, A wing Agarwal Trade Centre, Plot no 62, Sector 11 , CBD Belapur, Navi Mumbai 400 614 Shriram City Union Finance Ltd New no. 221, Royapettah High Road, Mylapore, Chennai – 600004 Alternatively, you may handover the duly discharged deposit receipt to your nearest Shriram Insight Share Brokers LTD’s office. 15. What is the mode of getting payment on redemption/interest? 16. Can I redeem my FD before the original term? If so, are there any conditions applicable to the same? 17. How is the FD renewed? Subject to the FD scheme being open, the deposit may be renewed on maturity by submitting a duly filled fresh FD Application Form within one month from the date of maturity. It is necessary that the fresh FD Application Form should be submitted along with the duly discharged old FD receipt with revenue stamp of requisite value. The renewal will be subject to the terms and conditions of the FD scheme as applicable on the maturity date of the old deposit. No, FD is non- transferable. 19. Can a loan be obtained STFC/ SCUF against the security of the FD? Yes, loan facility is available at the discretion of STFC/ SCUF which can be availed only after three months from the date of deposits and up to 75% of the deposit amount subject to certain terms and conditions. Interest on such loans will be 2% above the deposit rate..
20. How can a depositor change the address etc. during the term of deposit? 21. What if one loses the FD Receipt? In the event of loss of the Fixed Deposit Receipt, STFC/ SCUF should be immediately informed about the loss of the instrument. STFC/ SCUF may issue a duplicate Fixed Deposit Receipt, subject to non-encashment of the original instrument, upon receipt from the depositor of a 'letter of loss of instrument' and an indemnity in the prescribed form to its satisfaction and after compliance with such other formalities as may be required by the STFC/ SCUF. 22. If legal disputes arise, what is the resolution mechanism? Disputes, if any, arising in connection with STFC/ SCUF FDs, will be subject to jurisdiction of Court at city of Chennai. 23. Are public deposits guaranteed by RBI? No. Though the fixed deposits of STFC/ SCUF are within its regulatory framework, RBI does not undertake any responsibility for the repayment of deposits/discharge of liabilities by STFC/ SCUF. However, STFC & SCUF enjoy FAA+ by Crisil and Fitch tAA- , CARE AA (FD) respectively denoting high safety for the timely payment and interest and principal. The depositor is advised to satisfy himself about the financial position and all relevant aspects before placing his deposit. 24. When do I become liable for TDS? 25. When is TDS deducted? TDS is deducted every time the Company pays or credits interest during the financial year. In addition, TDS is also deducted on interest accrued (but not yet paid) at the end of the financial year viz. 31st March. 26. Where should I submit form 15 G / 15 H? You should provide 15 G / 15 H Form to STFC/SCUF Office within 7 days of making the application. Forms and all communications need to be sent at below mentioned address The Manager (Deposit)- STFC, Shriram Value Service, Office No. 1-7, Aggarwal Trade Centre, 1st Floor, "A" Wing, Sector-11, CBD Belapur, Navi Mumbai -400 614. Ph. 022-41574545 SCUF: New no. 221, Royapettah High Road, Mylapore, Chennai – 600004 Alternatively, you may handover the duly filled up form to your nearest Shriram Insight Share Brokers LTD’s office. 27. What documents do a Depositor(s) needs to submit along with the Application Form? A: Following documents are required: a) Copy of PAN Card for 1st Holder is mandatory. b) Copy of Address Proof mandatory (Passport/ Voter id card/ Driving License/ Telephone Bill/ Bank Account Statement/ Letter from any recognized public authority/ Electricity/ Letter from Employer/ Ration Card. c) Copy of Age Proof (only for Minor/Senior Citizen): PAN/Passport/School Leaving Certificate/LIC Policy/ Health Insurance Policy etc. d) Bank Account details, Cancel Cheque leaf is mandatory. If the 1st Applicant name is not mentioned on the face of the cheque, please provide a copy of recent bank Statement which will reflects the 1st Applicant’s name. Self attestation is not mandatory for the above documents. 28. In whose name deposits can be made? A: Deposits may be made in the joint names of two/three persons under First or Survivor/s (F or S) or Anyone or Survivor/s (A or S). All communications will be addressed to the first depositor. All cheques/warrants for interest payment or repayment of deposits will be drawn in the favour of first depositor. 29. How TDS will be deducted? A: As required under the Income Tax Act, 1961, tax at applicable rate will be deducted at source from the amount of interest paid and/ or credited to a depositor if the gross interest exceeds the prescribed limit during the financial year. However tax will not be deducted if declaration in the prescribed form (15 H for Senior Citizen & 15G for Others) is furnished to the company in respect of each financial year. 30. Can the Company make premature repayment of deposit? The Company cannot make premature repayment of a deposit within the period of three months (lock-in period) from the date of its acceptance. Provided that in the event of death of a depositor, the Company shall repay the deposit prematurely, even within the lock-in period, to the surviving depositor/s in the case of joint holding with survivor clause, or to the nominee or the legal heir/s of the deceased depositor, on the request of the surviving depositor/s nominee/legal heir, and only against submission of proof of death, to the satisfaction of the Company.